Power plants are potentially volatile places by definition. With highly combustible fuel sources, heavy equipment, high energy output, and hundreds of workers — all concentrated in a relatively small space — the potential for accidents is everywhere. And on rare occasions, a minor accident can become a disaster, affecting anyone in the vicinity of the plant. Preventing power plant disasters requires proper design and construction, sound equipment and infrastructure, comprehensive safety systems, and constant vigilance by employees. When one of those elements fails, the resulting fire or explosion can injure or kill workers, passers-by, or nearby residents. 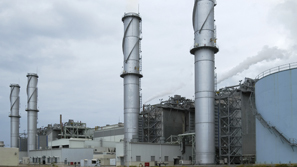 Victims of power plant accidents suffer burns, electrical shocks, or other serious injuries. Our team of lawyers, investigators and medical professionals has the expertise to find what caused the accident and determine where responsibility lies. Known for our innovative use of multimedia technology, we can create an audio-visual simulation of the accident that will be very persuasive to a jury, or our opponents. To learn more about our experience in power plant matters, we invite you to contact the firm here.